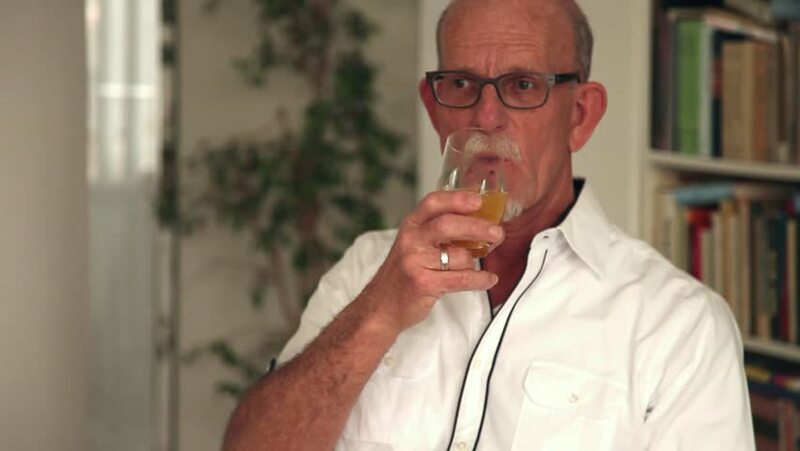 Senior man drinking fresh orange juice. Starting and ending blurred. (No audio). hd00:21A close up shot of an elderly man answering a question. The camera then shifts to his joyful wife. hd00:44Senior man reading a book. Sitting on white chair in living room. Starting and ending blurred. (No audio).